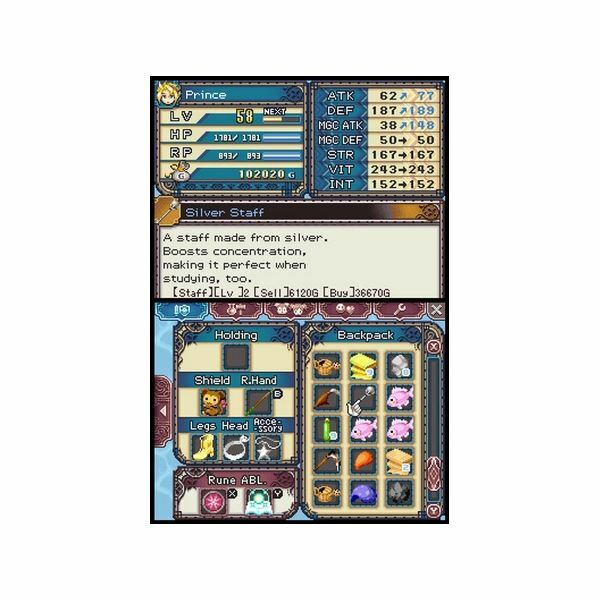 When I first got my hands on Rune Factory 3: A Fantasy Harvest Moon, I was pretty excited. 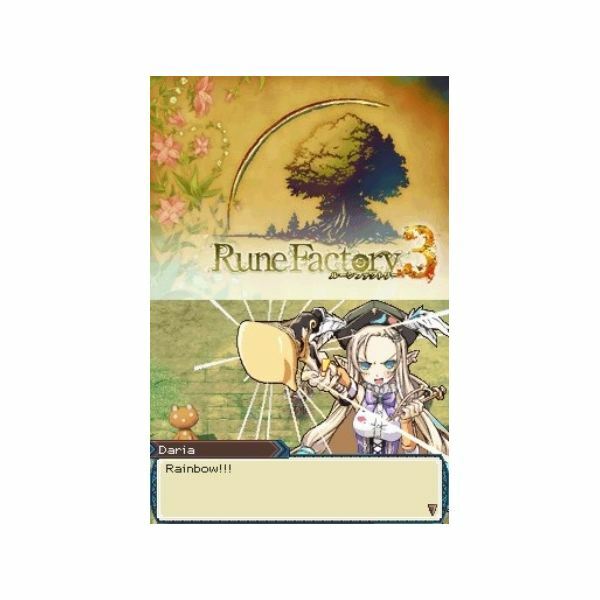 I’ve played a little Harvest Moon in the past, and I really enjoy a good action RPG, so Rune Factory 3, which combines both action RPG gameplay and farm sim elements is something that has intrigued me for quite some time. 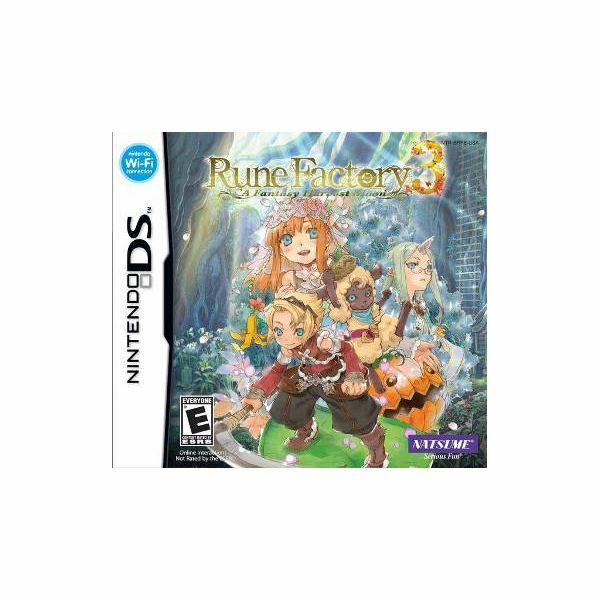 Before I take you along for my playthrough of the game, it should be noted that while this is my first Rune Factory game, it is not my first Harvest Moon title. Now, let’s move on! Maybe it’s because I’ve been playing a bunch of games with hardly any narrative like Sonic 4, but I found myself struggling to sit through the text-based tutorials at the start of Rune Factory 3. I’ve played many RPG and action-adventure titles in the past, so I’m no stranger to lengthy tutorials. Heck, I enjoy titles with a lot of in-game text! But due to the fact that I’ve been playing games like the original Meat Boy a lot lately, I found myself with very little patience. Regardless of that fact, I took in everything the helpful Shara had to say and retained it for future reference. I told myself that I would get familiar with the farming aspect before heading out for adventure. As it turns out, I ended up getting completely enthralled in the farming and social aspects of the game. I was tilling the soil on my small farm, planting flowers and vegetables, and watering them regularly for some time. Then I decided to interact with the characters of Sharance (which is something of an objective). 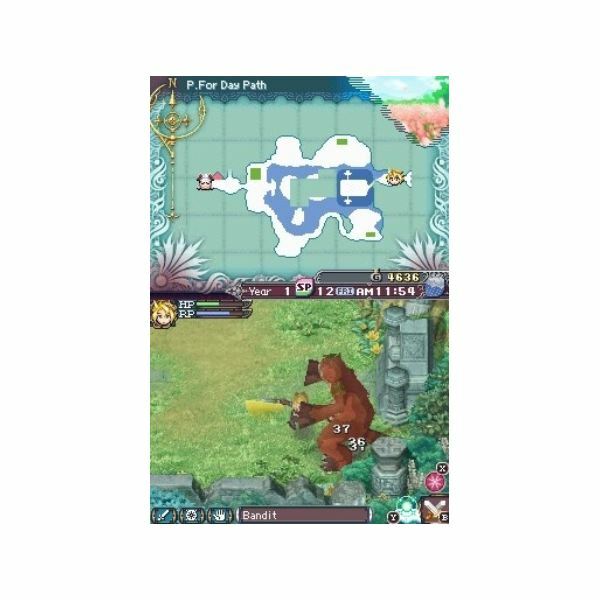 I was surprised to discover that these aspects of Rune Factory 3 are a game all on their own. It was literally like playing Harvest Moon or Animal Crossing on my DS, and it was a great deal of fun. I met many characters during my mingling period, and I targeted the female character that I would eventually marry down the road. The resident of Sharance that I opted to woo was a shy redhead by the name of Raven. She kept to herself, appeared very cold, and practically ignored me at first. So why did I choose her? Well, if you’ve read any of my reviews, then you probably know that I enjoy a good challenge. Sure, I could go for a more social, flirtatious character like Shara, but I play games for the challenge, so I didn’t hesitate to make Raven the victim of my friendly/romantic advances. Time for Adventure? Or Time for More Farming? After I clocked in a few hours of farming and socializing, I headed to Privera Forest, a spring-themed area full of trees and creepy bug enemies. I struggled a bit at first (I set the game’s difficulty to hard), but after leveling up a fair amount, I was able to get past all the baddies. I had to do some backtracking in order to repair a broken bridge, so I spent my time back at Sharance getting to know Raven a bit more and checking out the town bulletin board, which is full of requests from the townsfolk. I made deliveries, learned how to fish, and even tended to the cash register at the local weapons shop after Raven (who works there) passed out for some reason. Completing sidequests was fun, but there was something insanely addictive about tending to my farm that made me want to return to that aspect of the game. I spent a lot of time planting seeds, chopping wood, and shipping out goods to sell before heading back to Privera Forest. I defeated more enemies in Privera Forest and leveled up a bit more, and when I got to the area’s boss, I was definitely the underdog. No matter how hard I tried, I just couldn’t defeat the forest boss. The monster I had to take down was a raccoon, but it wasn’t any ordinary raccoon. This little guy soon turned into a big, massive projectile-shooting raccoon. It was clear that I had my work cut out for me, so I leveled up even more after being defeated by the raccoon and finally went back to face the fearsome beast after I had reached level 12. Immediately after defeating the giant raccoon I gained the ability to transform into a sheep-like critter. Who knows how this transformation will benefit me as I progress further. It’s going to be fun checking out the next major area in this great Nintendo DS game. But first, I think I’ll do a little more farming!